Rotary Club of Crieff - welcome! Please scroll/swipe down through this page to find out more about us, in addition to the pages linked in the menu, top-left. 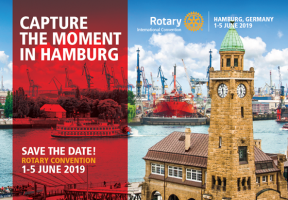 Our SVP has just returned from Germany and will update the Club on the five day Convention in Hamburg (1st to 5th June), plus anything else of interest that might have gone on at the same time! 'Partners Evening' featuring Bruce Keith. The author of a detailed book on historic bridges in Scotland, Bruce promises to give us a fascinating, illustrated insight into this topic. He will also sign copies of his book tonight. 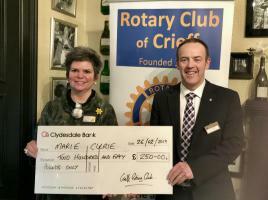 The Club were delighted to be able to hand over a cheque for the sum of £250 to Estelle from Auchterarder Club as a contribution towards here forthcoming climb of Everest as a fundraising effort for Marie Curie. 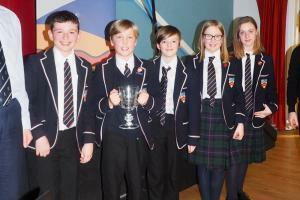 Twelve Primary school teams (Comrie P6 & P7, Crieff P6 & P7, Madderty P6 & P7, Morrison's Academy P6 & P7, Muthill P5/6 & P7 and St. Dominic's P6 & P7) competed for the Ross-Bell Quaich at the Strathearn Community Campus. By kind permission of the Crieff Co-Op in Union Terrace. 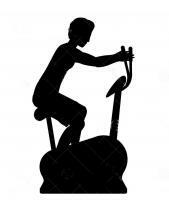 Come along and guess how far a team of Rotarian volunteers can 'cycle' in four hours and win a handsome prize. All proceeds will go to aid Prostate Cancer UK. Allan Lorden - Cruise to St Petersburg. Allan Lorden told us about his recent cruise to St Petersburg via the Keil Canal and Tallin, returning via Copenhagen and Gothenburg. Welcome to Crieff Rotary Club's website. As one of the 90 Clubs in Rotary District 1010 - North Scotland, http://www.rotary1010.co.uk we are actively involved in local, regional and international projects. 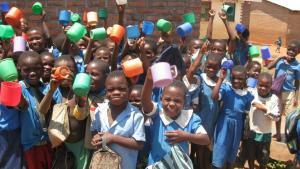 We offer organisations physical and financial assistance - whichever is most needed and deemed appropriate. On many occasions we will offer both if we can. Thank you for taking time to look at our site, why not click on some of the links on the left and find out more about our club. 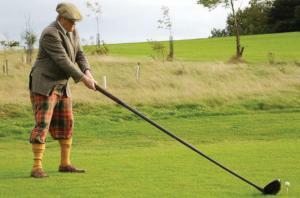 Colin Carr will tell us about the history of golf in Scotland, 1457-1744. Siobhan Bell from Morrison's Academy and her mother will be running in the Copenhagen marathon in May to raise funds for her school's sponsorship of this poor village in Malawi. She will tell us more tonight and seek our support. 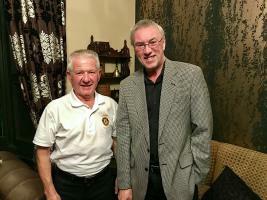 'Partners Evening' featuring Bruce Keith. 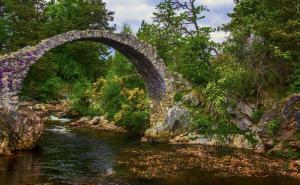 The author of a detailed book on historic bridges in Scotland, Bruce promises to give us a fascinating, illustrated insight into this topic. He will also sign copies of his book tonight. Details will be uploaded ASAP.